The University of Arizona College of Medicine – Phoenix proudly collaborates with organizations like the Big Brothers Big Sisters of Central Arizona to provide youth with the opportunity to see first-hand what medical students encounter everyday. Through this program, the kids are able to explore several different clinical activities in the College's state-of-the-art Center for Simulation and Innovation. 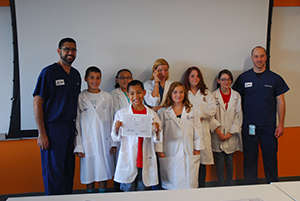 By working with groups like this, the College is able to further educate youth in the Phoenix community about the importance of medicine and pursuing a career in such a field.